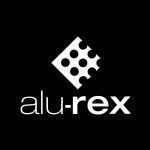 Are Alu-Rex products compatible with plastic or vinyl eavestroughs? Although plastic or vinyl rain gutters are popular choices on the retail market, it is not possible to use any of the Alu-Rex products with these eavestroughs. Our products have been tested on several plastic or vinyl rain gutters and, in most cases, the resulting installation clearly did not meet the stringent quality standards set by Alu-Rex. Consequently, it is not possible to install any kind of plastic or vinyl rain gutters with the T-Rex continuous hanger or to install the Gutter Clean System on any of these either. On the other hand, products from the Alu-Rex Pro Series can be efficiently installed on aluminum, copper, zinc, galvanized steel, or stainless steel rain gutters. That way, based on your personal tastes, your budget, and the architectural design of your residence, you can be sure to find the right type of rain gutters to install with the Alu-Rex leaf guards.